 Solar Panel Prices in Nigeria (April 2019) – Compare & Shop! Since erratic power supply became a major problem in Nigeria, other sources of electricity like solar energy & inverters has emerged to solve the problem. Right here, you are going to discover solar panel prices in Nigeria, where & how to purchase it. Solar panels converts sun rays from light energy to electrical energy. Simply put, solar panels allows photon, or particles of light to easily knock off negative atomic particles called electrons to generate electricity. This flow of electricity can then be converted from direct current (DC) to alternating current (AC) with the help of a solar inverter which can then be stored in batteries. That simply means that Solar panels + inverter + batteries = Electricity! There are two major types of solar panels in Nigeria name polycrystalline solar panels & monocrystalline solar panels. According to experts, Monocystalline solar panel cells are made by forming silicon bars and cutting them into wafers. 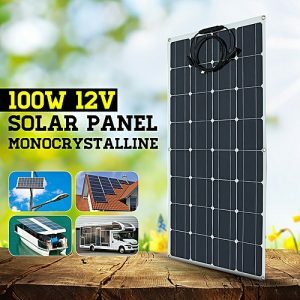 Generally, monocrystalline solar panels are made with a black hue (i.e the panels are black in color) and are more efficient than polycrystalline solar panels. On the other hand, polycrystalline solar panels cells are made by melting silicon together to form the wafers. 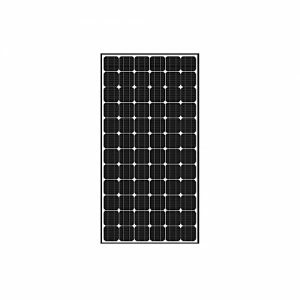 Generally, polycrystalline solar panels are made with a blue hue (i.e the panels are blue in color) but are less efficient than polycrystalline solar panels and cheaper in price. The prices of solar panels can range anywhere between N50,000 to N150,000 in Nigeria. However, this depends on the size, power capacity and type of solar panel you are buying. 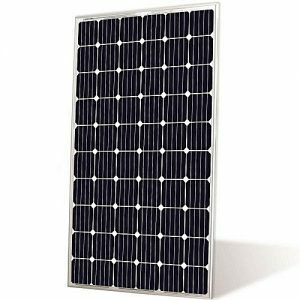 On this page you will discover the best prices of different types and sizes of solar panels from different brands like LG, Trina, Skymax, Jinko and many other others – SEE PRICE LIST. After considering solar panel prices in Nigeria, the next step is to find where to purchase them. 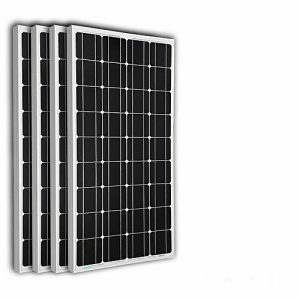 Buy solar panels online in Nigeria through PRICENOW. Click here to see their prices and make your choice, click on the buy button and complete your checkout on Jumia Nigeria website. Shopping online saves you the stress of finding solar panel dealers in Nigeria. When shopping online, all you need to do is to find & compare their prices, make your order and have it delivered to your doorstep anywhere in Nigeria within 3-6 business days. Shopping online can be a hard nut to crack for less internet-savvy Nigerians. On PRICENOW, we have made a nice & short guide on how to shop anything online easily & quickly. Follow our shopping guide and you can easily purchase your own solar panels within the next 10 minutes – read brief shopping guide. Order for your solar panels today! and it will be delivered to your doorstep anywhere in Nigeria within 3-6 business days. 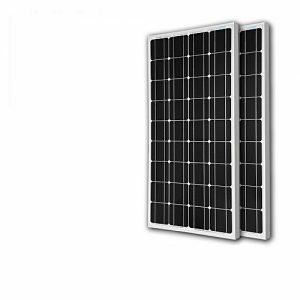 Power Rating: Solar panels have different power outputs ranging from 10 watts to 320 watts. And also, different voltage outputs from 12V to 24V. before buying solar panels, it is important to check your power consumption and buy the required power rating needed to avoid insufficient power supply. Quantity Needed: Before investing in a solar panel, make sure you ascertain the quantity needed for adequate power supply for your home or business. For instance, 2 solar panels won’t be enough to supply constant and adequate electricity to a hospital who need power 24/7, rather, 8 or more solar panels will do the job. 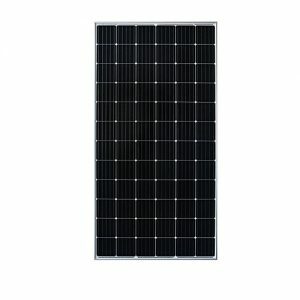 Solar Panel Types & Differences: In the second section of this page, the two different types of solar panels were explained. Before purchasing a solar panel, you need to know the different types of solar panels and choose the type needed for your home or business. Weather Conditions: It is important to note that solar panels does not need sun heat to function, but they need sunlight! This also means that solar panels do work even in cloudy days once there is sunlight. Before buying solar panels, make sure your surrounding has adequate sunlight. However, this is not a problem at all in Nigeria since most times in the year are sunny. Other Materials Needed: It is also important to know that electricity cannot be obtained from solar panels alone, you will need inverters to convert the acquired energy from solar panels from DC to AC, and lastly, large batteries to store the AC current for use.